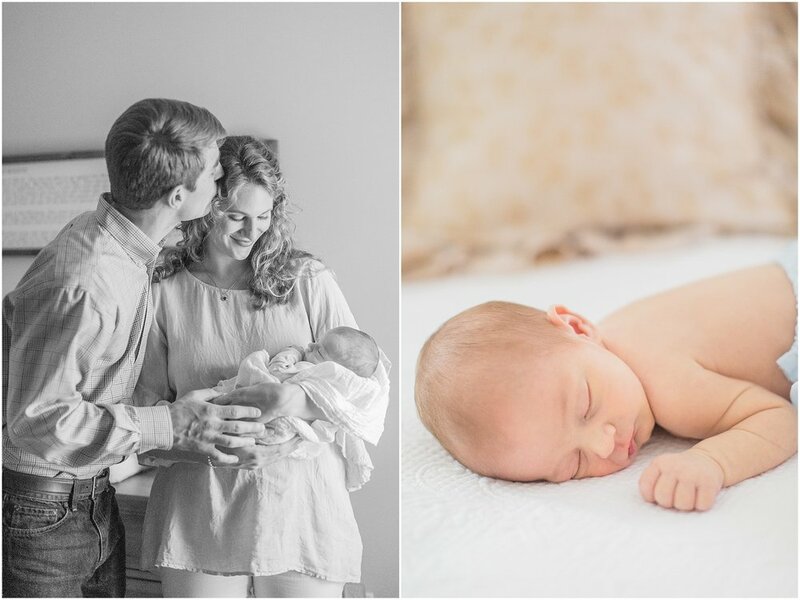 I was so honored to get to capture The Bailey Family as they've entered a new season as a family of three! 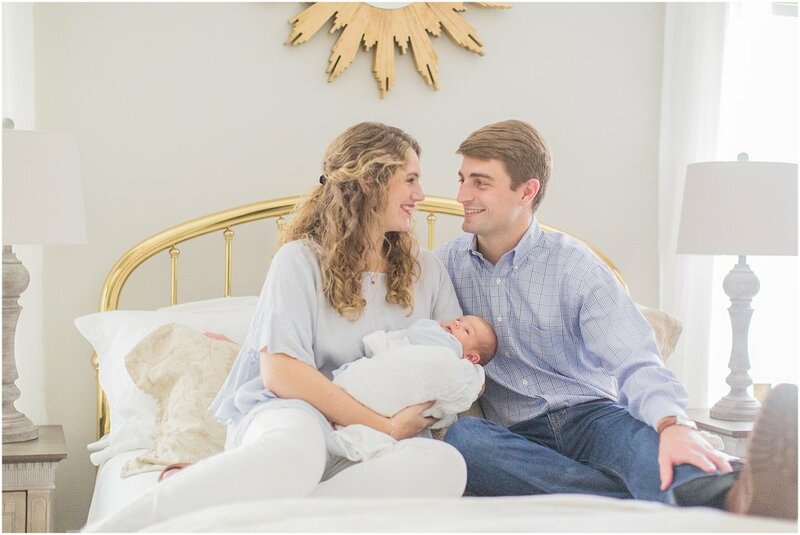 Maggie & Brett had their beautiful son Lee just a couple of weeks ago, & it was so sweet to get to watch them interact with their new son! 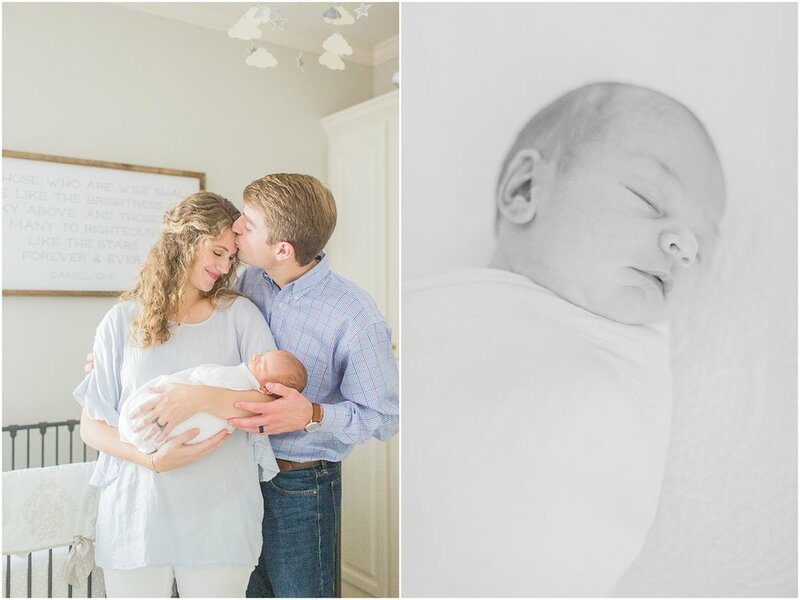 Maggie & Brett are already such incredible parents, & Lee is just the sweetest baby boy! 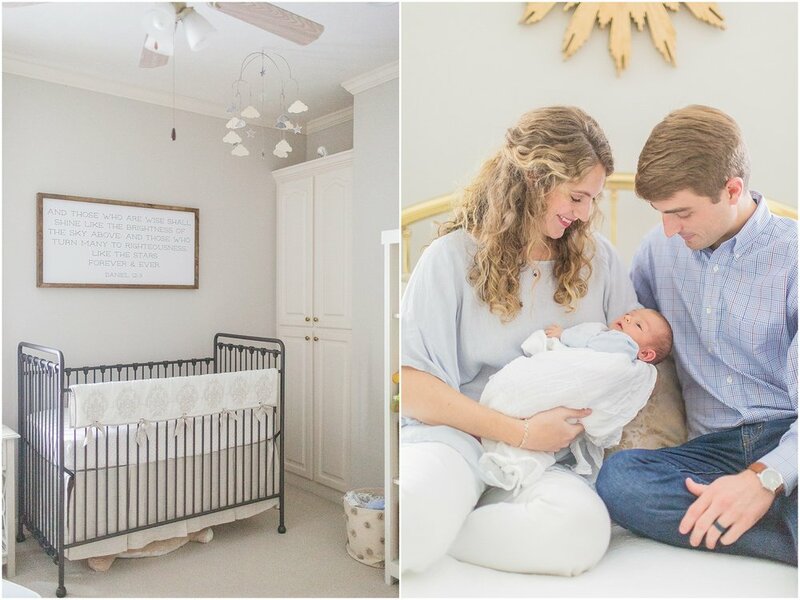 I loved getting to capture the three of them in their beautiful home last week, & am so excited to share some of my favorites from our time together! 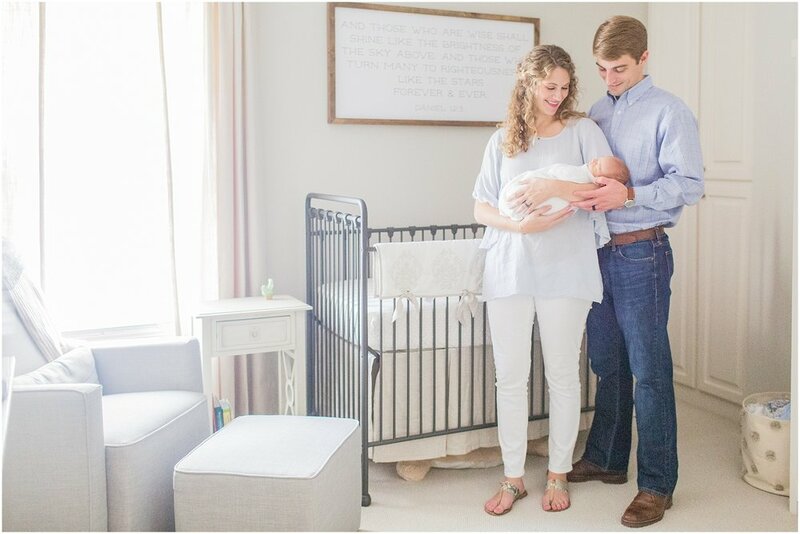 One of my favorite parts of Lee's nursery is the scripture that Maggie & Brett chose to display as they raise their son to love the Lord! 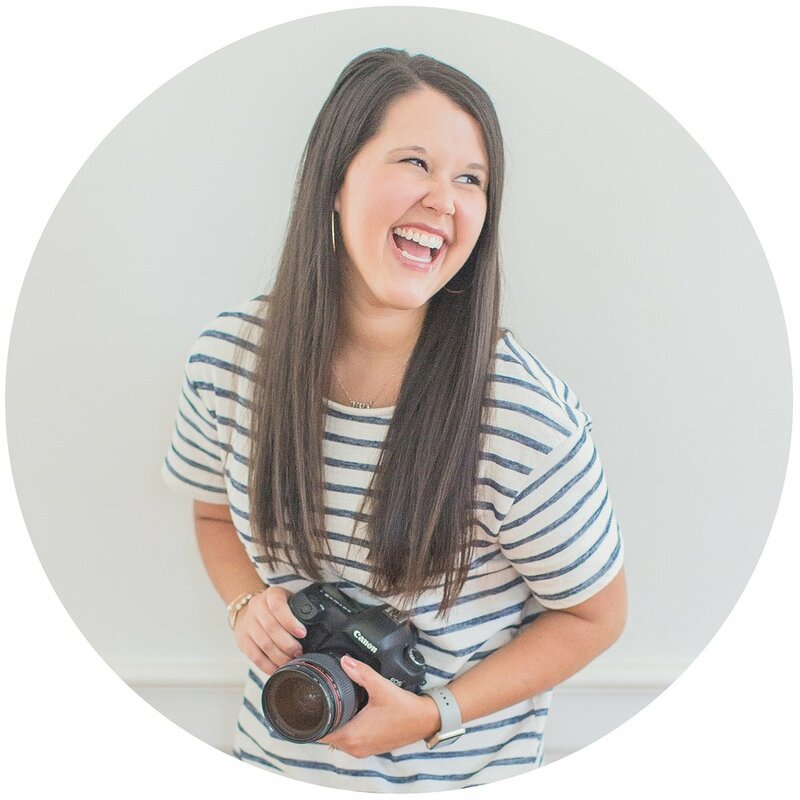 I am so excited to see what all God has in store for Lee! 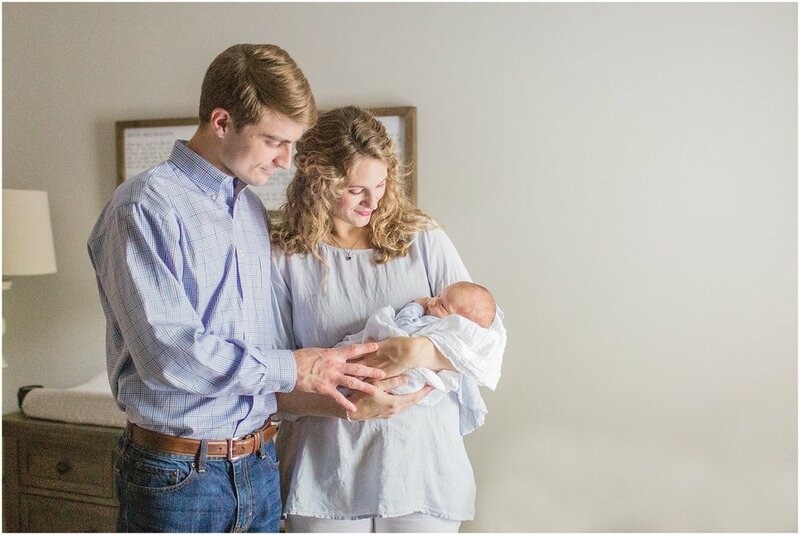 Maggie & Brett - thank y'all so much for giving me the honor of capturing your sweet family during this season! The Lord is already using you both to show Lee just how much his Heavenly Father loves him!